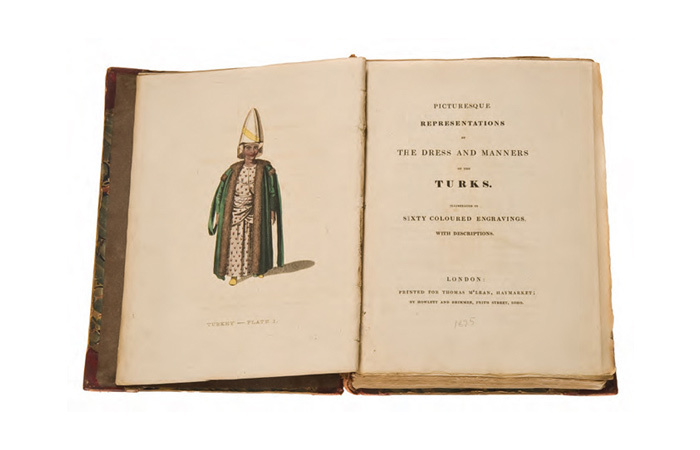 Picturesque Representations of the Dress an Manners of the Turks. Illustrated in sixty Coloured Engravings. With descriptions. London, Howlett and Brimmer, , iv, ,  yaprak; 60 renkli planş. Ebru kapaklı yorgun cildinde. Nadir kıyafet kitaplarının en gözdesi, en güzeli.